BusCon always delivers a great line up of speakers, a vast showcase of the latest technology, and a friendly environment for transit folks to network, exchange ideas and learn something new. I would like to encourage you to attend BusCon 2014, as I always find this event to be time well spent. If you manage to find your way to Indianapolis this year, please stop me and say hello. It’s always a pleasure to meet those of you who are regular blog readers of the METRO website. Please feel welcome to share your ideas regarding future blog topics. Who knows? You could soon become a guest columnist. This year I’ve been given the opportunity to present a session with my colleague, Steve Mentzer. Our session will take place on Tuesday morning, Sept. 14 at 8:30 a.m. and is entitled: “Creating a Driver Training Program from Start to Finish.” This discussion will appeal to those of you seeking to create an end-to-end driver training program utilizing an array of resources to bridge all learning modalities. How to properly blend all available resources into a cohesive training program that could be easily and effectively integrated into your operation. The importance of reinforcing the initial training and how to effectively support the process throughout the year. Key ingredients of a new bus operator training program. Concept - How to know if you are ready for a simulator. Requirements – How to prioritize software and hardware needs. Bells and Whistles – How to discern true training value from available features and functions. Vendor Interaction - What should you be asking and hearing? Delivery - Getting out of the gate effectively. Implementation – “Train the Trainer,” who will you trust with your trainers? Results – What measurable outcomes should you expect? Do's and Don’ts - What makes a successful simulator program and what will cause it to fail? In closing, a question has been asked regarding the instructor’s decision to advance or disqualify a trainee on the final day of training and whether there is one “fail safe” measure or rule that should be considered as a key indicator on which call to make. Keep it simple by asking yourself as the instructor, would you allow one of your family members to board your trainee’s bus immediately after you qualify them? If you have to think about it, even for a brief moment, they are probably not qualified to advance. If the trainee is truly ready to advance, your “yes” answer will come without hesitation. It should be every instructor’s moral responsibility to not allow a trainee into passenger service that would be a risk to the public, the agency, and the trainees themselves. Until then, safe travels and we’ll hope to see you at BusCon 2014. 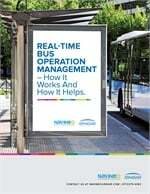 Read our previous blog, "How Operation Lifesaver can help your transit system's safety program."